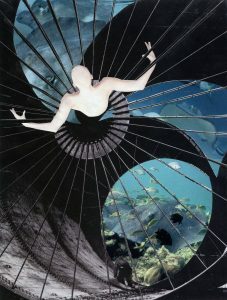 South Texas College’s Technology Campus Library presents an exhibit, “Inspired by the Deep Blue,” with Natalia Soto. The exhibit opens Tuesday, September 6 and will be on view through Friday, December 8, 2017. An artist lecture will be held at 6 p.m. at STC’s Technology Campus Library on November 14. The library is located at 3700 W. Military Hwy. in McAllen. Admission is free and open to the public. Natalia Soto Sanchez is an active artist with the Women of Action Collective and is in her last semester of the MFA program at UTRGV. In this exhibit of drawings, lithographs, and collage, Soto pays close attention to line detail in a series of fantastical underwater images. STC’s Library Art Gallery Program exhibits regional, national and international artwork, explores new visions and theories of creativity, and introduces innovative artistic expressions to the South Texas region. 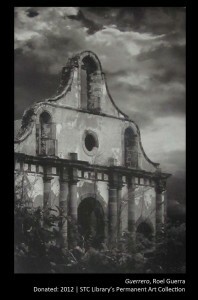 For more information contact Gina Otvos at (956) 872-3488, gotvos@southtexascollege.edu or visit https://library-stg.southtexascollege.edu/libraryartgallery. South Texas College’s Technology Campus Library presents “Still: An Art Exhibit,” featuring artworks by Sandra de la Fuente. The exhibit opens Thursday, September 8, 2015 with an artist lecture held on October 15 from 6-7pm to coincide with the International Wave of Light celebration. Artwork will be on view through December 7 at the Technology Campus Library, located at 3700 W. Military Hwy. in McAllen. Admission is free and open to the public. “Still: An Art Exhibit” is a meditation on loss, tragedy, solitude, spirituality, and memory. Through the use of mix-media, artist Sandra de la Fuente explores feelings of profound personal depth. The challenging topic deals with the sudden passing of family and the pieces are used to convey a message to the viewer and translate the incomparable loss of a child. Media used includes ink, spray paint, oil sticks, acrylic paint and charcoal pencil. For more information, contact Max Garcia at max@southtexascollege.edu or (956) 872-6207; or visit https://library-stg.southtexascollege.edu/libraryart. The South Texas College Library Art Gallery celebrates eight years of building the college’s Permanent Art Collection with two special exhibits at its Technology and Mid-Valley Campuses. The exhibit opens Thursday, June 11, 2015, and will be on view through Friday, August 7, 2015. The Technology Campus Library Art Gallery is located at 3700 W. Military Hwy. 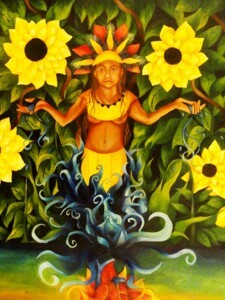 in McAllen, and the Mid-Valley Art Gallery is located at 400 N Border in Weslaco. Admission is free and open to the public. 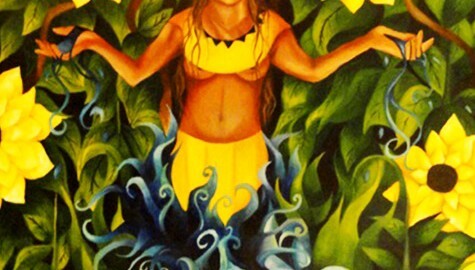 The exhibit features works of art that have been donated to South Texas College from 2008 to 2015, by various artists who have exhibited at one of the college’s five library art galleries throughout the Rio Grande Valley in Hidalgo and Starr counties. The South Texas College Library Art Gallery exhibits regional, national and international artwork, explores new visions and theories of creativity, and introduces innovative artistic expressions to the South Texas region. For more information, contact Gina Otvos at gotvos@southtexascollege.edu or (956) 872-3488. 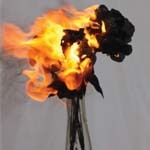 For a complete listing of events, visit: library.southtexascollege.edu/libraryartgallery. 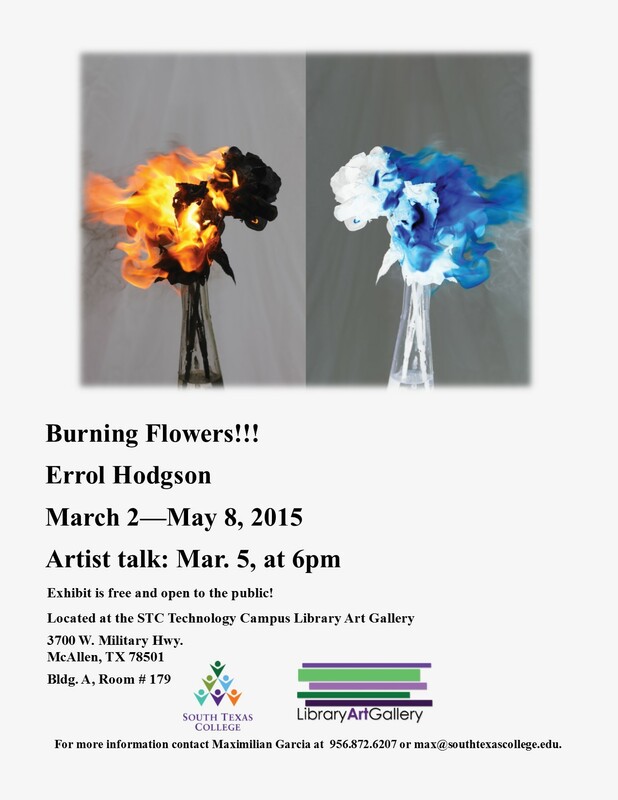 The South Texas College Library Art Gallery is preparing for its newest exhibit “Burning Flowers” featuring works by local photographer Errol Hodgson. The exhibit opens Monday, March 2, 2015, and will be on view through May 8, 2015, at the South Texas College Technology Campus Library. In addition, Hodgson will conduct an artist lecture on Thursday, March 5, 2015, at 6:00 p.m. at the Technology Campus, Bldg. 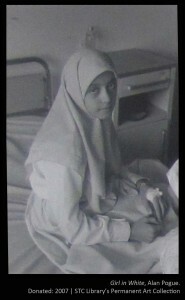 A, Room 179. The South Texas College Technology Campus is located at 3700 W. Military Hwy. in McAllen. Admission to the exhibit and artist lecture is free and open to the public. 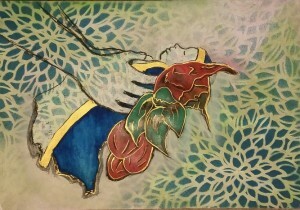 In this exhibit, Hodgson focuses on his interpretation of flowers. “To me, flowers represent the beginning of loving relationships and the ending of life,” said Hodgson. Originally from New York, Hodgson moved to the Rio Grande Valley in 2010. In 2013, he earned an associate’s degree in computer maintenance from South Texas College. The South Texas College Library Art Gallery exhibits regional, national and international artwork, explores new visions and theories of creativity and introduces innovative artistic expressions to the South Texas region. For more information, contact Maximilian Garcia at max@southtexascollege.edu, (956) 872-6207, or visit library.southtexascollege.edu/newsevents/libraryartgallery. 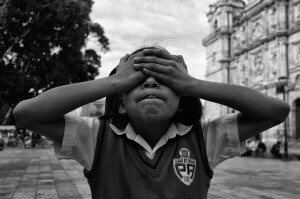 South Texas College’s Technology Campus Library presents “Rostros de mi niñez (Faces of my Childhood),” an exhibit featuring photography by Verónica G. Cárdenas-Vento. The exhibit opens Thursday, Sept. 18, 2014 and will be on display through Dec. 4. An artist lecture will be held at 6 p.m. on Oct. 2 at the Technology Campus Library, located at 3700 W. Military Hwy. in McAllen. Admission is free and open to the public. In this exhibit, Cárdenas-Vento focuses on the many faces of childhood and has chosen to specifically highlight the children of Mexico. Cárdenas-Vento earned a bachelor’s degree in Spanish from the University of Texas at Pan American and an associate’s degree in architectural drafting from South Texas College. For more information, contact Max Garcia at max@southtexascollege.edu or (956) 872-6207; or Dawn Haughey at (956) 872-3488 or dhaughey@southtexascollege.edu, or visit https://library-stg.southtexascollege.edu/newsevents/libraryartgallery/. 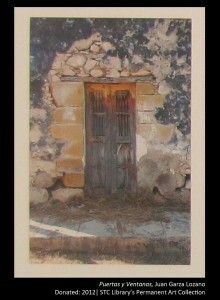 South Texas College’s Technology Campus Library presents “2013 Additions: Newly Acquired Pieces,” an exhibit featuring artworks by Lenard Brown, Noel Palmenez and others. The exhibit opens Thursday, June 19, 2014 and will be on view through Friday, Aug. 8 at the college’s Technology Campus Library Art Gallery, located at 3700 W. Military Hwy. in McAllen. Admission is free and open to the public. The exhibit features works of art that have been donated to STC, during the 2013 school year, by various artists who have exhibited at one of the college’s five library art galleries throughout the Rio Grande Valley in Hidalgo and Starr counties. These artists include Lenard Brown, Delvis Cortez, Olga Escobedo, Adrian Luna, Imanol Miranda, Noel Palmenez and Travis Trapp. For more information, contact Maxmilian Garcia at max@southtexascollege.edu, (956) 872-6207; or Dawn Haughey at (956) 872-3488, dhaughey@southtexascollege.edu or visit https://library-stg.southtexascollege.edu/newsevents/libraryartgallery/. On April 21 from 11 a.m. to 1 p.m. at STC’s Technology Campus Library located at 3700 W. Military Hwy. 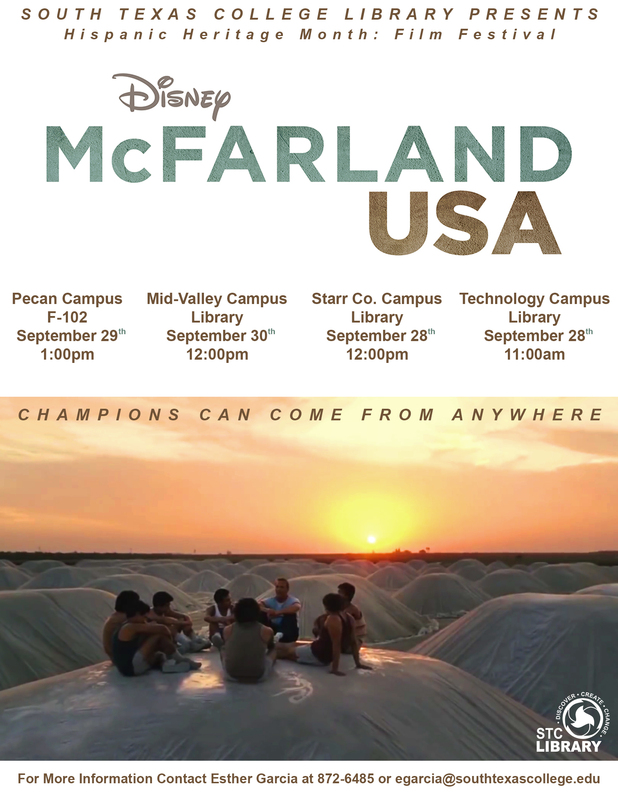 in McAllen, attendees will enjoy a screening of the movie Gravity, as well as a scavenger hunt, games, and prizes. On April 23 from 10 a.m. to 1 p.m. at the college’s Mid-Valley Campus Library located at 400 N. Border in Weslaco, events will include the showing of Frozen, pictures with college mascot Jerry the Jaguar, a contest, and a Pursuing Education Fair. On April 23 from 1 p.m. to 3 p.m. at the Starr County Campus Library located at 142 FM 3167 in Rio Grande City, activities include the showing of Gravity, a scavenger hunt, games, mariachis, and a community fair. On April 24 from 11 a.m. to 1 p.m. at STC’s Nursing and Allied Health Campus Library located at 1101 E. Vermont in McAllen, attendees will be treated to the showing of Gravity, as well as a scavenger hunt, games, and prizes. 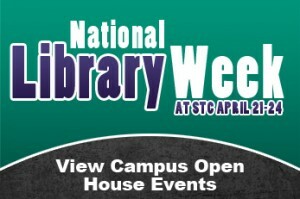 On April 24 from 11 a.m. to 1 p.m. at STC’s Pecan Campus Library located at 3201 West Pecan Blvd. in McAllen, festivities will include an information fair, a scavenger hunt with prizes, and the showing of Gravity. 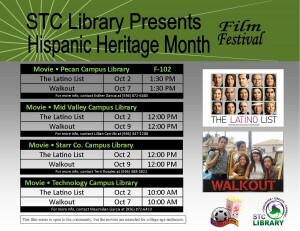 For more information visit https://library-stg.southtexascollege.edu or call 872-8330. South Texas College’s Technology Campus Library presents “Portrait of a Poet,” an exhibit featuring photography by Ileana Garcia-Spitz. The exhibit opens Thursday, Feb. 6, 2014 and will be on view through May 9. An artist lecture will be held at 5:30 p.m. on Feb. 13 at the Technology Campus Library, located at 3700 W. Military Hwy. in McAllen. Admission is free and open to the public. Ileana Garcia-Spitz never set out to document the Valley poetry scene, but it beckoned to her to do so. 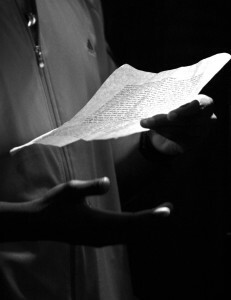 After attending a performance, her love for sounds of words bonded her to the performing poets. As an English teacher, Garcia-Spitz is drawn to words and their smiths, and as a photographer she is drawn to the impact of words as they are spoken and heard. Garcia-Spitz received her bachelor’s degree in English and works as a teacher and a local photojournalist. Being raised by a former migrant worker turned D.C. politician and a Catholic nun turned social worker, she has certainly been exposed to the dualities of life. Her studies in the humanities have also developed her appreciation for the differences between cultures. This exposure has made her sensitive to the human condition and its spirit, developing her eye and readying her for spontaneous opportunities to capture the story. 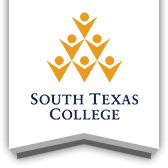 For more information, contact Max Garcia at max@southtexascollege.edu or 956-872-6207; or Dawn Haughey at 956-872-3488 or dhaughey@southtexascollege.edu, or visit http://lag.southtexascollege.edu. 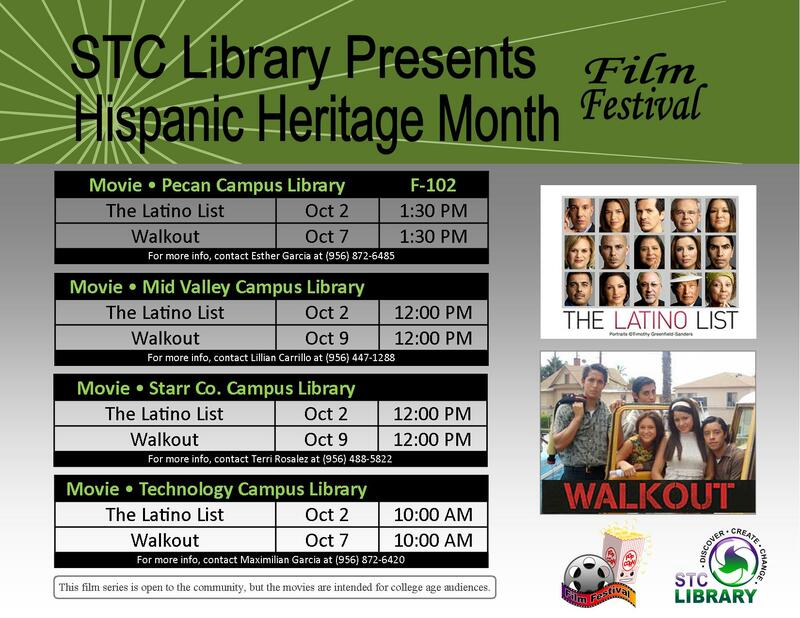 Join the library for a screening of The Latino List this week, and Walkout next week. Watch the trailer for The Latino List here. Contact egarcia10@southtexascollege.edu or call 956-872-6485 for more information.